AIDS Vancouver plays a special role in providing quality health care to people affected by HIV/AIDS living in the Lower Mainland. It is clearly more than just a community health care organization. It is an organization whose presence and continued strength is essential to the quality for life of this community and of each individual and family who draws on its services. 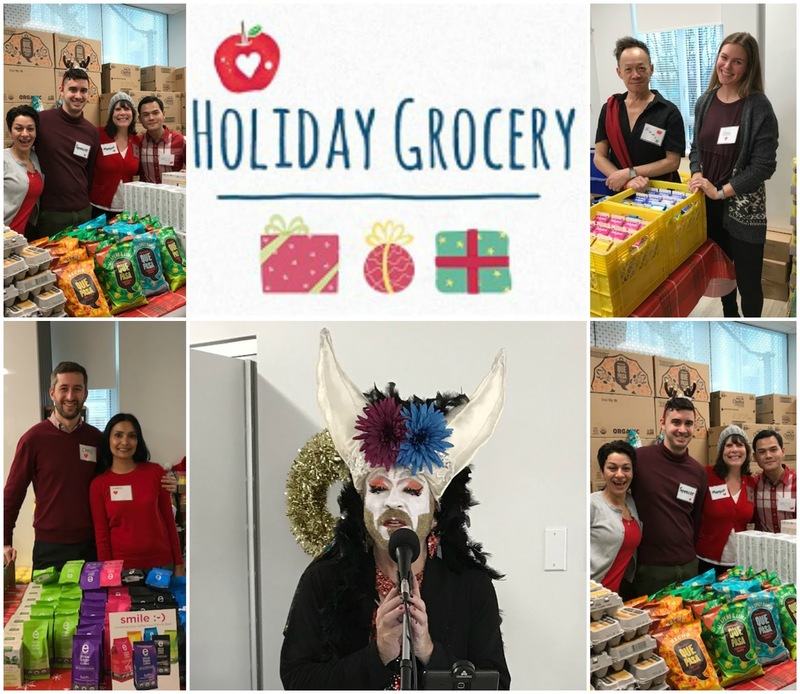 It was a great JOY for Sister Festivus Illuminata to bring the SPIRIT of the SEASON through music to those who attended this years Annual Holiday Grocery. "It was so much fun to work with these amazing volunteers as they spread JOY with their happy smiling faces as so many folks came through the doors to pick up a hamper to make their season bright!! ~ Sr. Festivus.